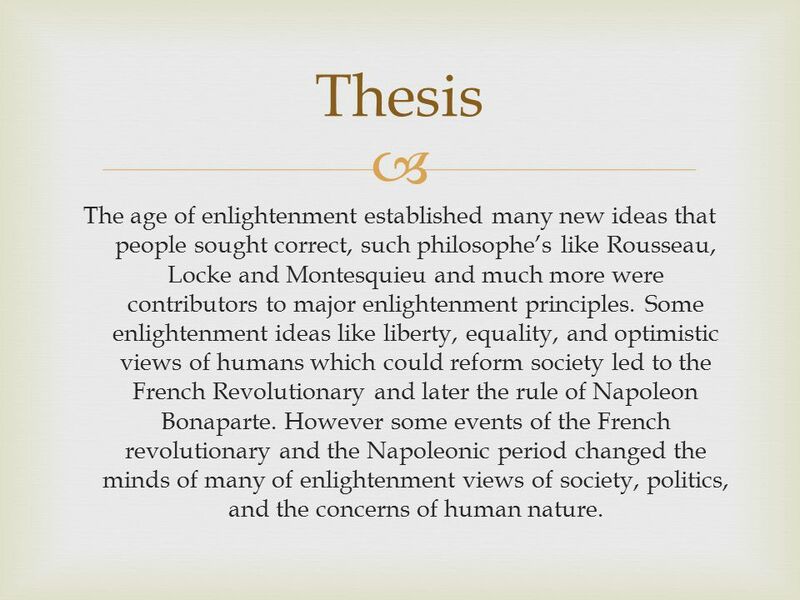 3 Thesis The age of enlightenment established many new ideas that people sought correct, such philosophe’s like Rousseau, Locke and Montesquieu and much more were contributors to major enlightenment principles. Some enlightenment ideas like liberty, equality, and optimistic views of humans which could reform society led to the French Revolutionary and later the rule of Napoleon Bonaparte. 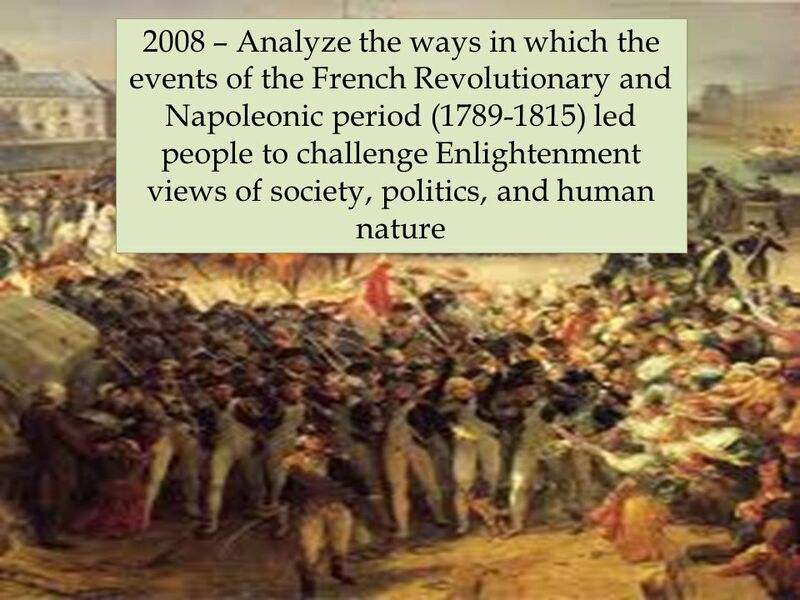 However some events of the French revolutionary and the Napoleonic period changed the minds of many of enlightenment views of society, politics, and the concerns of human nature. 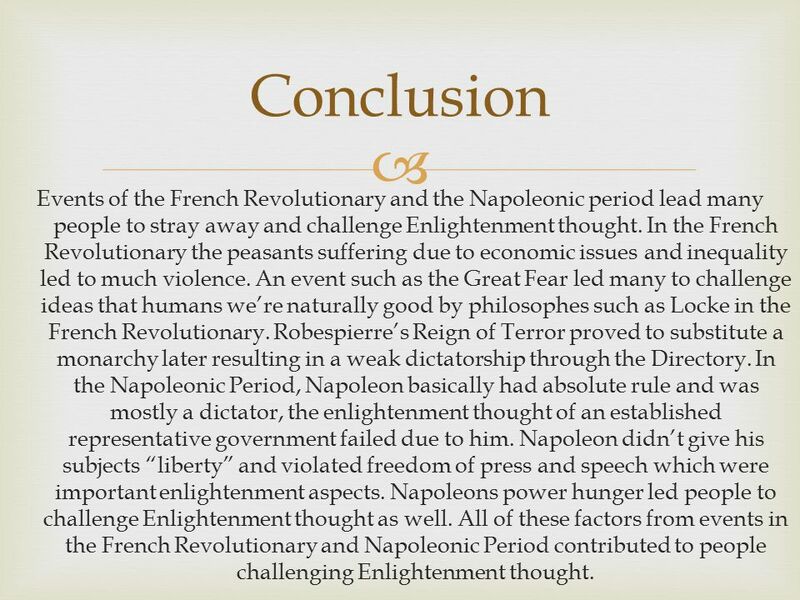 9 Conclusion Events of the French Revolutionary and the Napoleonic period lead many people to stray away and challenge Enlightenment thought. 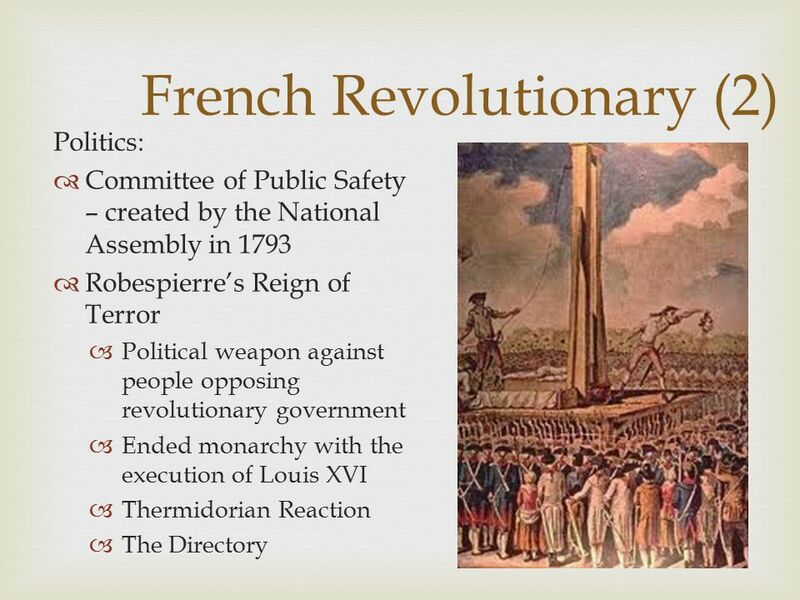 In the French Revolutionary the peasants suffering due to economic issues and inequality led to much violence. An event such as the Great Fear led many to challenge ideas that humans we’re naturally good by philosophes such as Locke in the French Revolutionary. Robespierre’s Reign of Terror proved to substitute a monarchy later resulting in a weak dictatorship through the Directory. 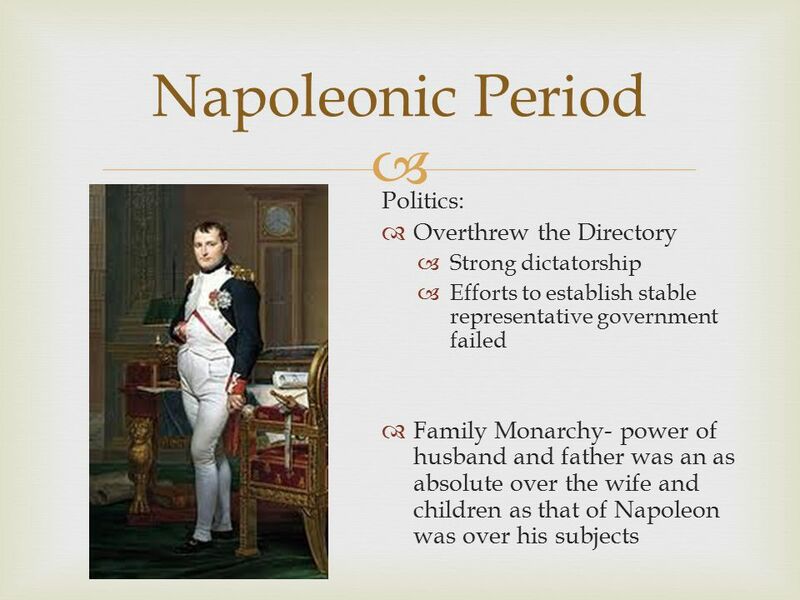 In the Napoleonic Period, Napoleon basically had absolute rule and was mostly a dictator, the enlightenment thought of an established representative government failed due to him. 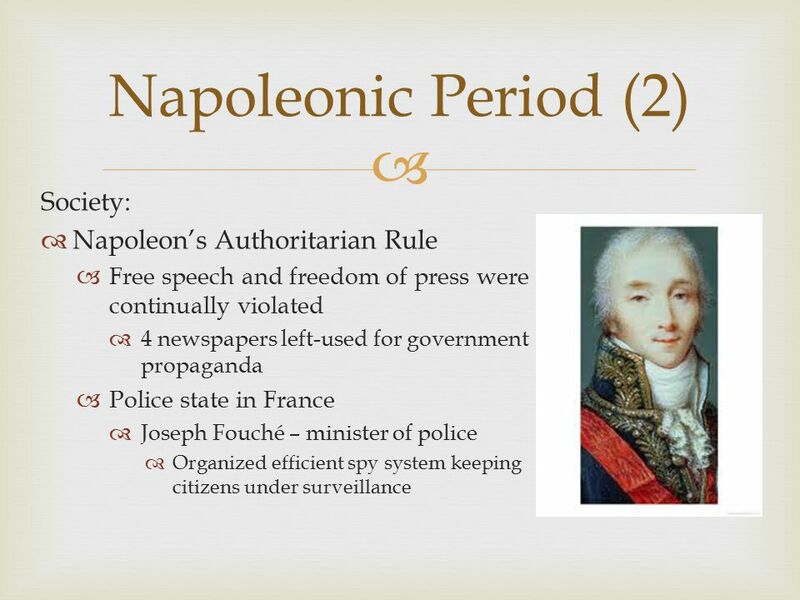 Napoleon didn’t give his subjects “liberty” and violated freedom of press and speech which were important enlightenment aspects. 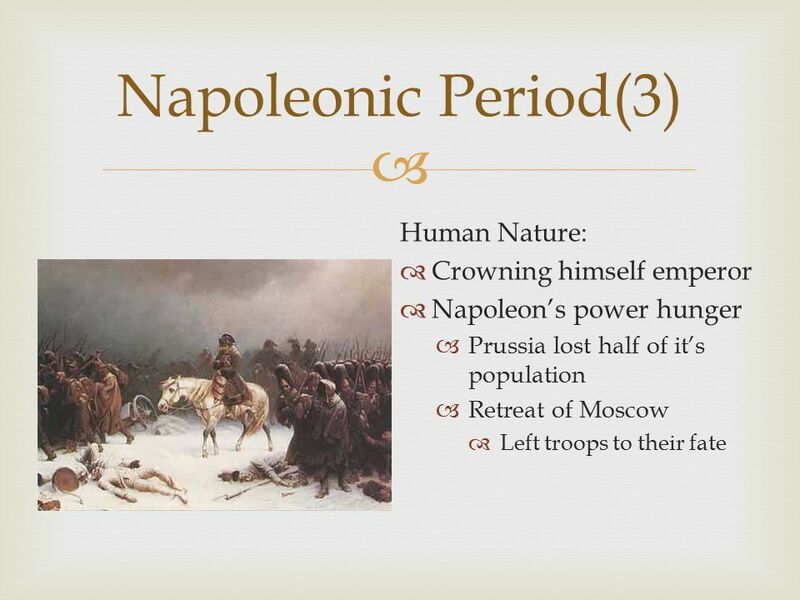 Napoleons power hunger led people to challenge Enlightenment thought as well. All of these factors from events in the French Revolutionary and Napoleonic Period contributed to people challenging Enlightenment thought. 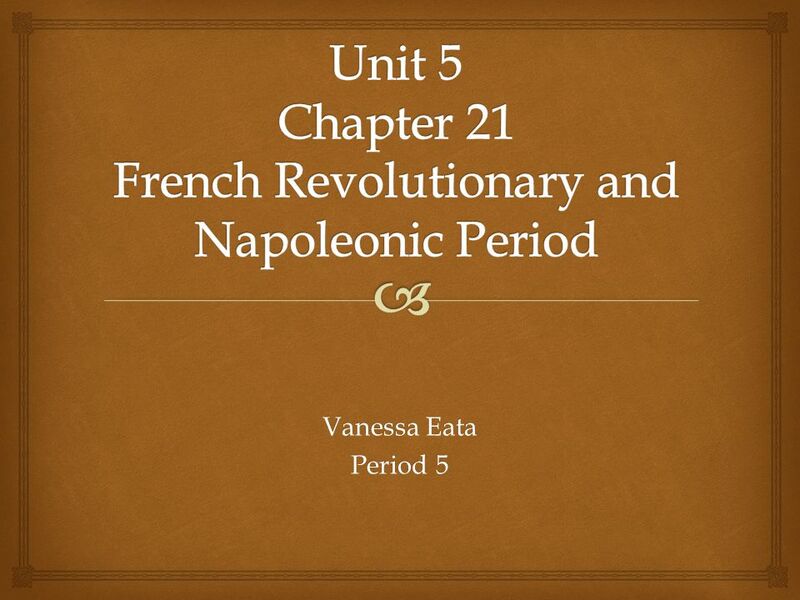 Download ppt "Unit 5 Chapter 21 French Revolutionary and Napoleonic Period"
Chapter 6, Section 3 Radical Days World History Woodridge High School September 20, 2013. POP QUIZ! 1) Invaded Russia 2)Created a Republic 3)Contributed to the American Revolution 4)Called the Estates-General 5)Led the National Assembly 6)Created. Objective: Describe the French Revolution. French Revolution. 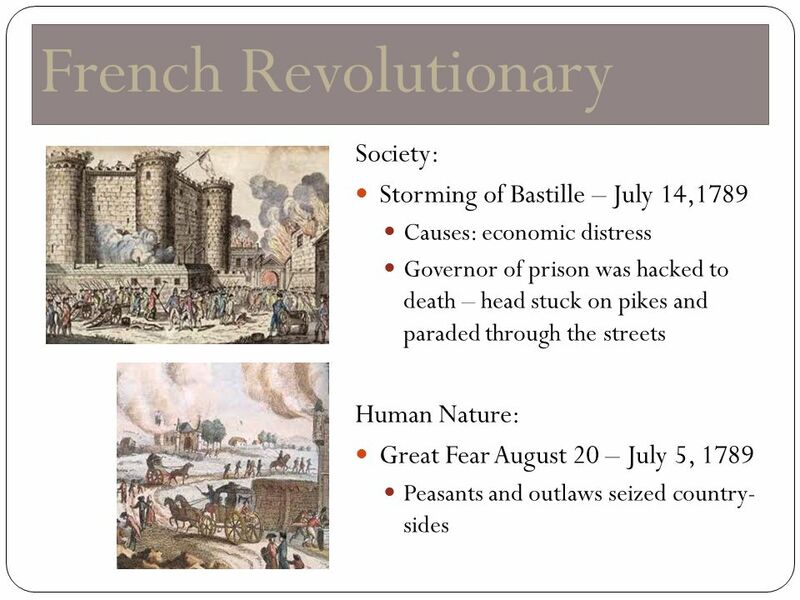 Events of the French Revolution June 20, 1789 Storming of the Bastille July 14, 1789 Declaration of the Rights of Man and Citizen August. The French Revolution of Origins Absolutism Absolutism The Enlightenment philosophes The Enlightenment philosophes-Montesquieu-Voltaire-Rousseau. Global History Review. Map of Political Revolutions. World History Reviewing for the French Revolution Unit Test. The French Revolution Timeline. Causes May 10, 1774 - Louis XVI made King He was a weak leader and had trouble making decisions government had serious.